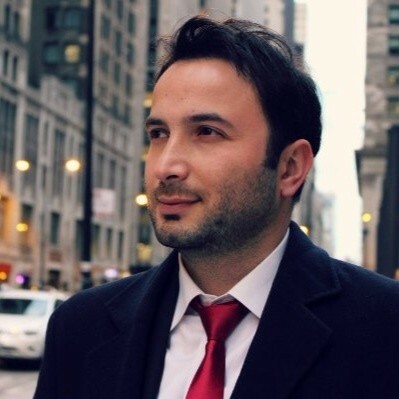 Dr. Utku Pamuksuz is an Information Systems researcher with expertise in data science, business analytics, applied mathematics, and machine learning. He has been teaching at the University of Illinois at Urbana Champaign in the Gies College of Business and the School of Engineering at Northwestern University. He has been an invited speaker in academic and professional seminars in Europe, Asia, and the U.S.A. in topics ranging from computational social science to predictive analytics in the areas of Management, Finance, Strategy, and Quantitative Marketing. Dr. Pamuksuz has also built and maintained strong relationships with industry leader organizations during his Ph.D. studies including: State Farm, Goldman Sachs, Grainger, McKinsey & Company, Deloitte, and KPMG. He is also a machine learning and business analytics consultant of Gerson Lehrman Group. He has been awarded with the State Farm Big Data Hacking Competition Award in 2015 and 2016, and the UIUC Excellence in Teaching Award in 2016. He also holds a M.Sc. in Computer Science from Northwestern University. Dr. Pamuksuz is currently appointed as Sr. Data Scientist at Grainger and Clinical Professor at University of Illinois at Urbana-Champaign.